Officer Verne A. Brindley, 29, and his partner, Officer Lawrence E. "Benny" Williams, 31, were both members of the LAPD Vice Squad. On the evening of May 10, 1930, with information they received from an informant, Brindley and Williams arrested two women for prostitution and were transporting the women and the informant back to the Central Police Station for questioning. At the intersection of South Central Avenue and East Adams Boulevard, a car backed into their police car. Brindley and Williams approached the other car, and suspected that the driver was intoxicated. They ordered the driver out of his car, but he refused. Brindley and Williams dragged the man out of his car, and put him in the back seat of the police car, along with the two suspected prostitutes, and handcuffed him to the informant. Brindley also climbed into the crowded back seat, as Williams drove and another member of the Vice Squad sat in the front seat. After the police car traveled about 100 feet, the suspected drunken driver grabbed Brindley's revolver from his holster. When Brindley tried to grab the gun, the man shot him three times in the chest and head. He then pointed the gun at Williams, who swerved the car to hamper the shooter's aim. Williams was hit once in the knee before the shooter was overpowered and subdued. Brindley died at the scene, and Williams was taken to the Georgia Street Receiving Hospital, where he recovered from his injuries. 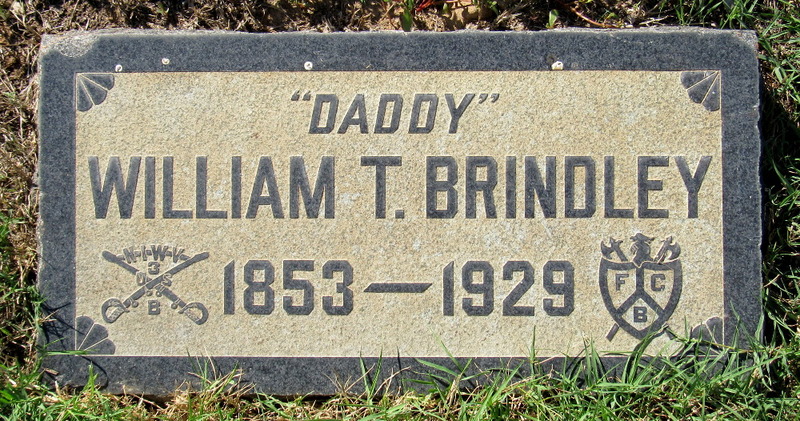 Brindley was born March 12, 1901, in Wheatland, in western Pennsylvania, the sixth of seven children of William Thomas and Mary E. "Effie" Houseman Brindley. Brindley's father was an iron worker and blacksmith. 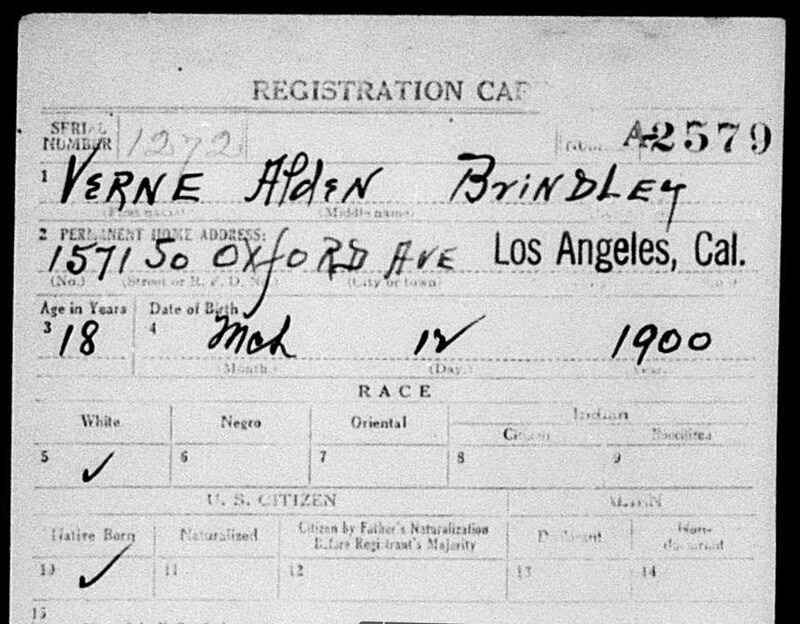 In the early 1910s, the family moved to Los Angeles, where Brindley found work as a shipping clerk at Gilfillan Bros. Smelting and Refining Company, at 217 W. 6th St., about four miles from the family home on South Oxford Avenue. Brindley and his three older brothers -- Frank, Roswell and Frederick -- all served in the U.S. Army during World War I, although 17-year-old Brindley added a year to his age on his enlistment papers to meet the minimum age requirement. After the war, Brindley worked as a traveling salesman for an electronic supply company, and married Kentucky native Cecilia Mary Hagen. Their first child, William Thomas, named after his grandfather, was born in 1920, followed by Robert in 1922. Their third child, Dorothy, was born in 1923, but she died in July 1929. Brindley's father died the next month, at the age of 76. Both were buried at Rosedale Cemetery, now Angelus Rosedale Cemetery. 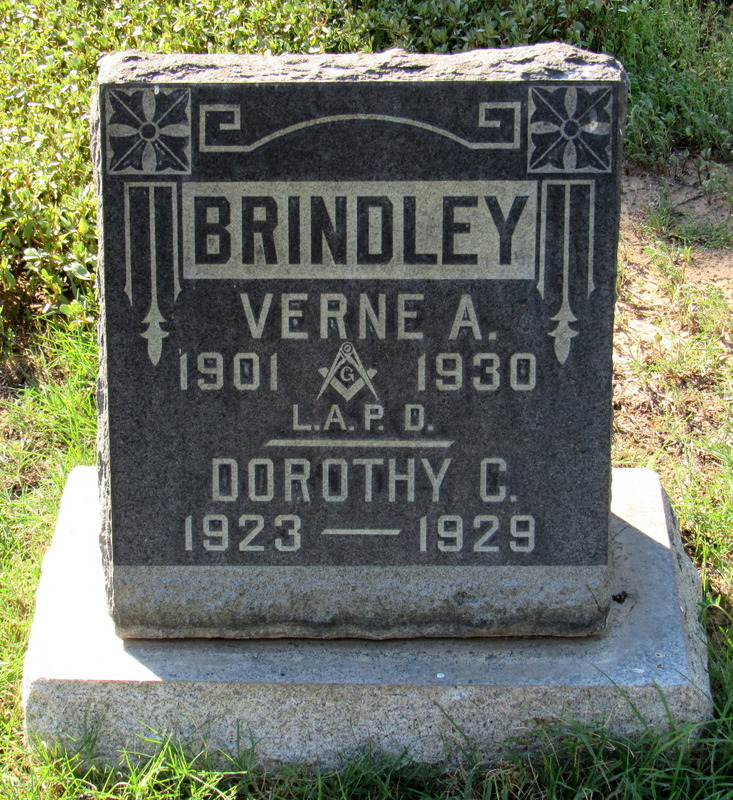 Brindley joined the LAPD on May 11, 1928, and was killed the day before he would have celebrated his second anniversary with the police department. And, less than a year after the deaths of his father and daughter, he joined them at Rosedale Cemetery. L.A. Mayor John Porter, Police Chief Roy Steckel and the entire Police Commission attended Brindley’s funeral services. The 29-year-old sheet metal worker who shot Brindley and Williams was charged with murder and assault with intent to commit murder. The prosecution planned to seek the death penalty. In his defense, Brindley's killer said the officers had beaten him on the head with their gun butts before putting him into the police car. The jury deadlocked in the first trial after four days of deliberations. A second trial was held, and Brindley's killer was found guilty of manslaughter and assault with a deadly weapon in November 1930, and was sentenced to 1 to 10 years in prison. Six months later, on May 3, 1931, at San Quentin State Prison, Brindley's killer smuggled a file into his cell from the prison machine shop where he worked, and plunged it into his chest, just above his heart. He died the next day in the prison hospital. After the shooting, Brindley's fellow officers collected and gave nearly $1,700 (about $24,000 today) to Brindley's widow, to help pay off her house on West 66th Place. Although Williams recovered from his gunshot wound, he died in 1956, at the age of 57, as a result of a blood clot that formed in his injured knee. Brindley's widow remained in Southern California, where she died on June 17, 1997, at the age of 96. Their son William died in 2001, at the age of 80, and their son Robert died in 2013, at the age of 90. Brindley's sign -- with his first name spelled incorrectly -- is located at the southeast corner of Central Avenue and East Adams Boulevard.